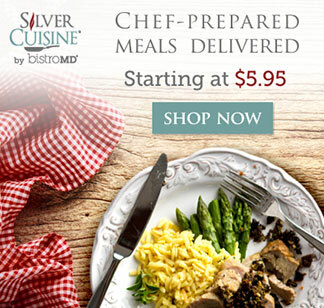 Home Caregiving What is Dementia with Lewy Bodies? Dementia is an umbrella term used to describe a cognitive declination. 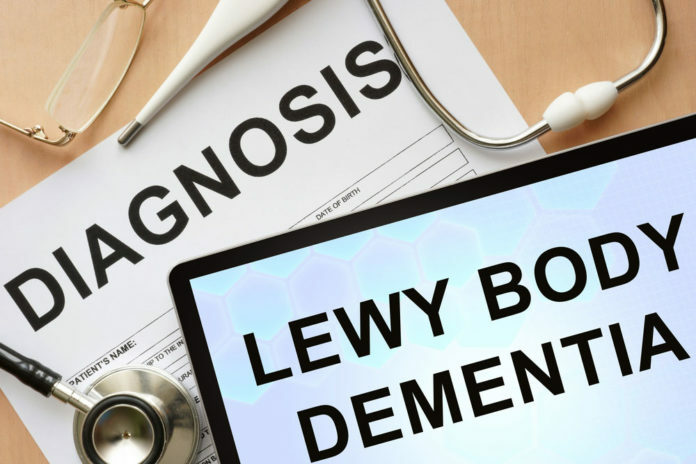 Although not well understood, dementia with Lewy bodies deserves considerable recognition with the hopeful identification of established symptoms to effectively manage and treat this devastating condition. Dementia is an umbrella term used to describe a cognitive declination. Its severity interferes with daily life, including impairment of memory, communication, attention, judgment, and visual impairment. Although Alzheimer’s disease is the most common form of dementia, dementia with Lewy bodies is the second leading dementia form, affecting more than one million people each year. It dramatically shortens lifespan, with an average of five to seven years following its onset. 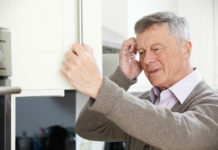 Although not well understood, dementia with Lewy bodies deserves considerable recognition with the hopeful identification of established symptoms to effectively manage and treat this devastating condition. 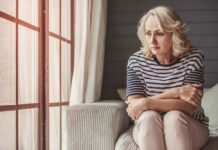 Dementia is caused when brain cells are impaired, either from a neurodegenerative disease, brain injury and tumor, uncontrolled health condition, and even poor diet. But specifically to dementia with Lewy bodies (DLB), the cause is related to abnormal protein structures found on the brain. DLB is also recognized as Lewy Body Dementia (LBD), Diffuse Lewy Body Disease, and Lewy Body Disease. “Lewy bodies” are smooth, round protein lumps and found on the nerve cells and named after their discoverer, neurologist Frederick H. Lewy, in the early 1900s. They primarily form on the outer layer of the brain, specifically the cerebral cortex, and inside the midbrain and brainstem. They are also found in individuals diagnosed with Alzheimer’s and Parkinson’s disease, making the separation slightly complicated. Deficits in attention and prominent memory impairment, which may not be obvious in the early and initial stages. Compared to Alzheimer’s disease, individuals with DLB experience fluctuations in attention and alertness. These fluctuations can last hours or even days. Recurrent visual hallucinations, which may be considerably detailed. Individuals may also experience less common hallucinations of touch and hearing. Spontaneous features of parkinsonism, changes in gait that mostly causes the affected individual to shuffle and walk stiffly. Sleep disturbances, predominately in the form of REM Sleep Behavior Disorder (RBD). Individuals may move and speak during periods of REM sleep. Related to autonomic dysfunction, difficulties maintaining blood pressure, heart rate, digestive and urinary issues, and even fainting. In addition to symptoms, risk factors for DLB include advancing age (especially after age 50), being male, a family history, a genetic predisposition related to a variant of the GBA gene (though unlikely), and a potential cultivation of unhealthful lifestyle practices (poor diet, lack of exercise, and smoking). Since a cure is not known for DLB, doctors medicate the individual symptoms. Cholinesterase inhibitors may be prescribed to improve cognition and alertness while reducing hallucinations. Parkinson’s disease medications may counteract parkinsonism while other identified symptoms (sleep disturbances, constipation, irregular blood pressure) may be treated with correlating medications. DLB symptoms may be worsened by some medications, urging the need for a nondrug approach. Alternative therapies may include music, pet, massage, and aromatherapy to induce relaxation and improve mood. Reasonably so, the thought of no cure may be debilitating for affected individuals and their loved ones. 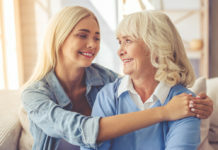 Lewy body dementia support groups can be valuable resources to obtain tips and for encouragement, either locally and/or via virtual groups. Reference: Lewy Body Dementia Association.